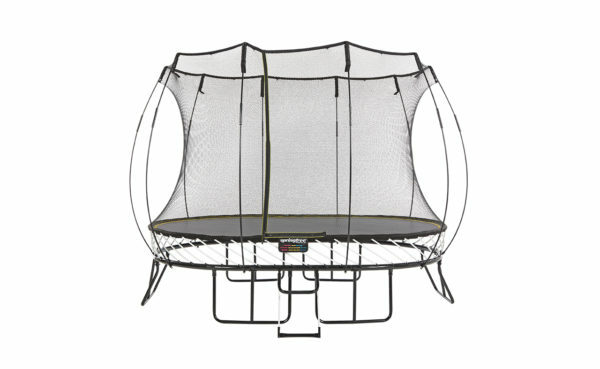 Our medium oval trampoline maximizes the space in your backyard. 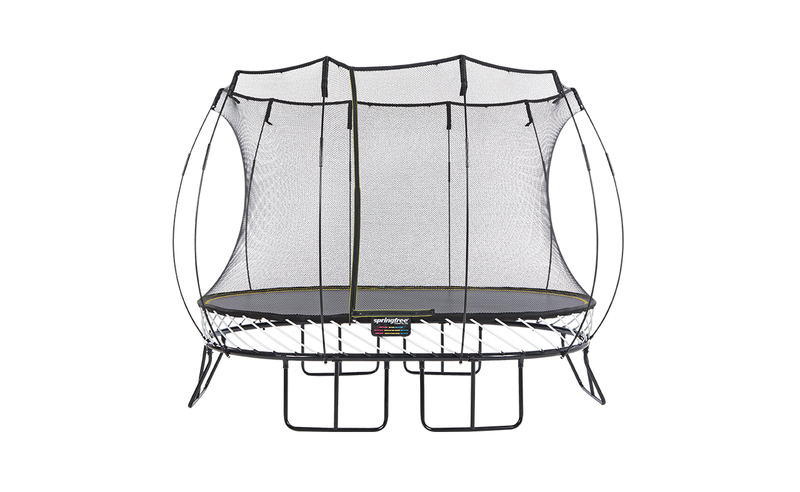 Designed for smaller families, this trampoline will give you plenty of jumping room with backyard space to spare. With a soft bounce, and endless activities, you’ll get all the reward you need when you hear them laughing the day away outside your window. Our interactive tgoma game system will help challenge the whole family both mentally and physically, while increasing time spent outside. Young jumpers can enjoy hours of fun; jump to reveal a roaring dinosaur, a farmyard animal or a cute kitten, with our Whatzat? The jumping surface of our 8 x 11ft oval trampoline is equivalent to the area of a 10 x 13ft oval trampoline with springs. Rods – Springfree Trampoline uses flexible fiberglass rods to give a soft non-jarring bounce. The rods lie beneath the jumping surface out of harms way. 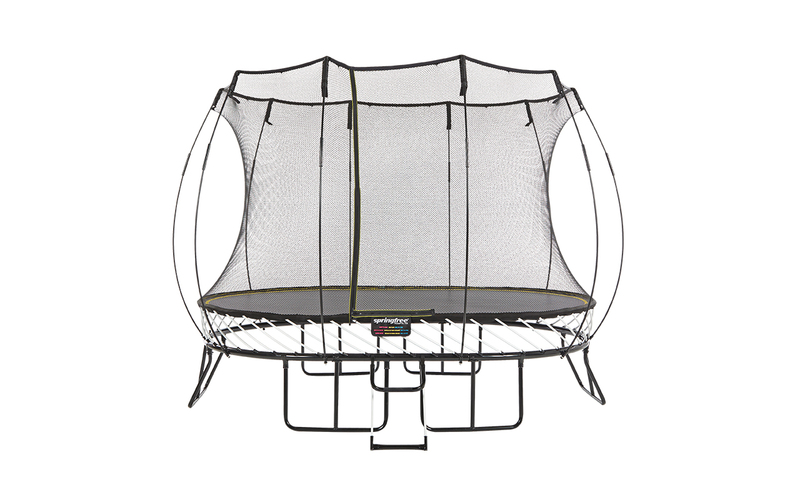 Traditional trampolines have springs that give a harsh, jolting bounce, and despite safety pads, can still injure. Hidden Frame – Springfree Trampoline’s frame is well beneath the jumping surface. You can’t hit it, period. On traditional trampolines the frame is a hazard to jumpers, being the same height as the mat. 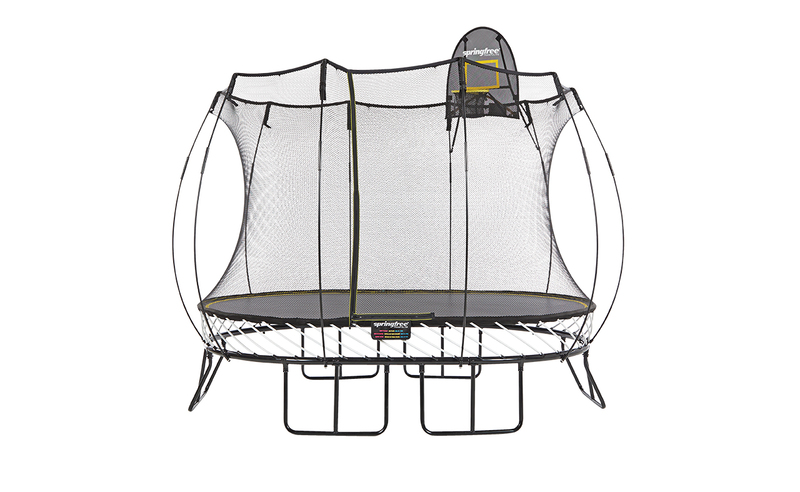 With Springfree Trampoline, you can jump freely and safely. While jumping on traditional trampolines you must always be conscious as to where the steel springs are. Soft Edge – Springfree Trampoline has a SoftEdge, which is over 30 times more shock absorbent than pads. The hard frame and springs on traditional trampolines can only be hidden and slightly softened by pads. Pads not only wear and tear but lose much of their shock absorbing property after only a few impacts. FlexiNet – The Springfree Trampoline FlexiNet enclosure has flexible supports to cushion jumpers and prevent falls. The jumper is directed back to the center of the mat and cannot make contact with the enclosure rods. Traditional enclosures may stop jumpers falling off, but in doing so, either direct them into rigid steel poles or straight down onto the springs and frame. 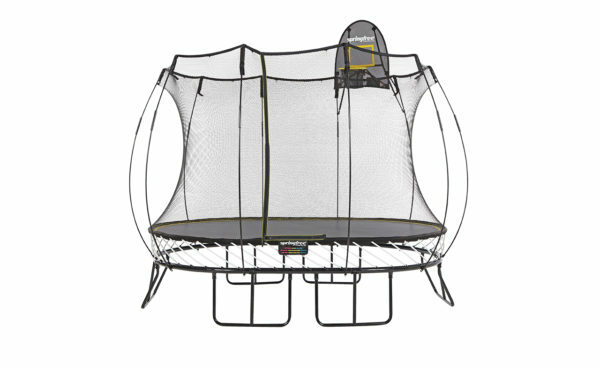 Springfree Trampoline is 100% spring-free! Finally an innovative way kids can experience the freedom to jump! The absense of springs means little toes are free to go where they want to go! Our durable composite rods are safely located below the level of the mat and secrurely out of harm's way. Our FlexiNet safety enclosure offers strength and cushioning so kids are always secure and safely remain on the trampoline. Wow! Soft-edges, pad-free and maintenance-free. 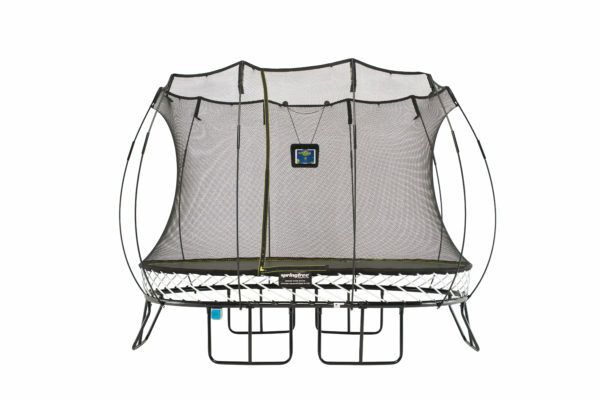 Springfree Trampoline gives you the safety and quality your family deserves. Please call the store for current Installation and Accessory specials!